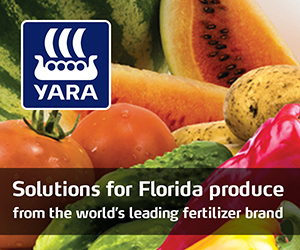 To promote the responsible use of plant protection and nutrient products in Florida. From its roots as a research organization, the Florida Fertilizer & Agrichemical Association has branched out to represent its fertilizer, limestone, crop protection, and ag biotech member companies professionally in the legislative, regulatory and public opinion arenas. 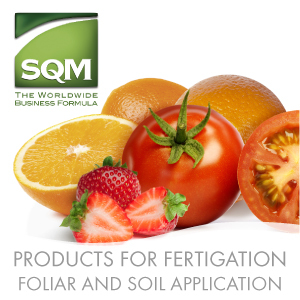 FFAA’s main objectives today - To promote the responsible use of plant protection and nutrient products in Florida. - echoes the very concerns that drove the creation of the association when it was founded as the Florida Agricultural Research Institute. As the years passed, the association’s focus shifted from conducting its own research on Florida commodities to securing support for state research through increased state and federal appropriations and corporate contributions. For the last 78 years—through the aftermath of the Great Depression, World War II, the Korean and Vietnam conflicts, the Cold War, the terrorist attacks of Sept. 11th, 2001, and all the ups and downs of the economy—FFAA has worked on issues such as fertilizer research, promoting Best Management Practices, and lobbying for science-based fertilizer and agrichemical regulations. These efforts are designed to promote food security and ensure U.S. consumers continue to reap the benefits of agriculture: safe, affordable and abundant food and Florida production of biofuel, fiber and foliage. Today the association represents the fertilizer, limestone, agrichemical and ag biotech manufacturers, dealers and distributors doing business in Florida. Justin Bunch. Nutrien Ag Solutions, Inc.
Mike Barry, TradeMark Nitrogen Corp.
David Carson, Chemical Dynamics, Inc.
Mike Hudson, Diamond R Fertilizer Co., Inc.
As President of the Florida Fertilizer & Agrichemical Association, Mary Hartney is dedicated to fulfilling FFAA’s mission: To promote the responsible use of plant protection and nutrient products in Florida. Hartney represents the interests of FFAA members in Tallahassee by working with legislators, state regulatory agencies, grower groups and allies on science-based ag and environmental policies. FFAA also administers the Florida Certified Crop Advisers program to promote professionalism in Florida fields. Mary joined FFAA in 1998. Her expertise in public affairs and communications was honed in former leadership positions with Polk County Farm Bureau, Florida Citrus Mutual and The Lakeland Ledger. She’s a University of Notre Dame graduate (Go Irish!) and her Masters is from the University of South Florida. Amy Pappas is the Executive Assistant at the Florida Fertilizer & Agrichemical Association. Her work involves planning and executing FFAA’s Annual Meeting, Winter Business Meeting, Scholarship Golf Tournament and Scholarship Sporting Clays Tournament, board and committee meetings and other special events. She manages the FFAA membership database, all financials for FFAA and the FFAA Scholarship Fund and is responsible for the day-to-day association operations. Amy joined FFAA in 1998. Prior to her current position at FFAA, Amy served as the Executive Assistant to the North America Sales Director for Griffin Corporation in Valdosta, Georgia.